This current sensor board is based on the Allegro ACS712ELCTR-30A bi-directional hall-effect current sensor chip that detects positive and negative flowing currents in the range of minus 30 Amps to positive 30 Amps. 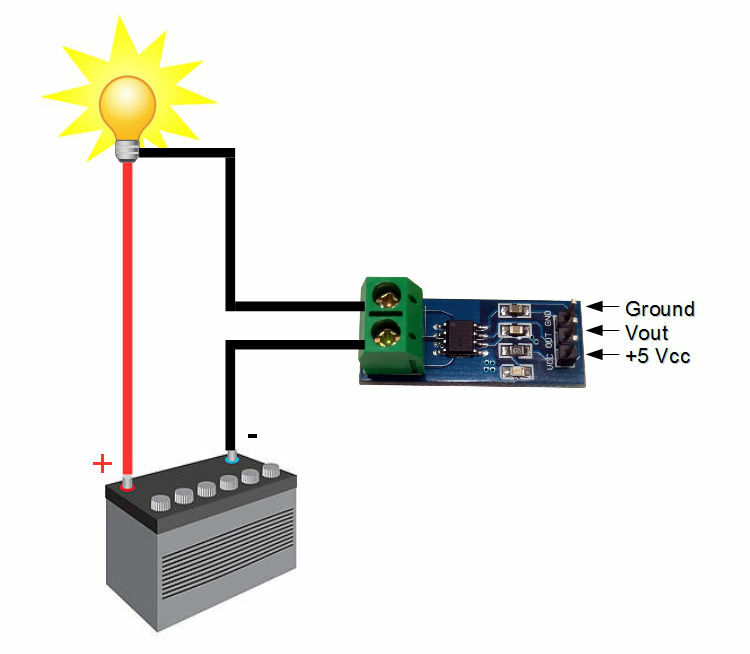 The board operates at 5V DC and the current flow through the sensor is converted to an output voltage starting at 1/2Vcc (or 2.5V) for no current flow and moves up 66mV per amp for positive current or down -66mV per amp for negative current. Very good price for a sensor capable of a measuring a up to +/- 30amps.